Shirley Chambers talks to Lucy Ash about the devastating effects of gun crime in Chicago, which has cost the lives of all four of her children. The human cost of gun crime in American cities is highlighted with the story of Shirley Chambers from Chicago, who describes how she lost all four of her children in separate shootings. Also, in search of a missing photograph - Ghanaian Letitia Boateng's quest to find the only known photograph of the mother she lost in her teens. And Pertti Kurikka's Name Day, the Finnish punk rock band formed by musicians with learning disabilities. 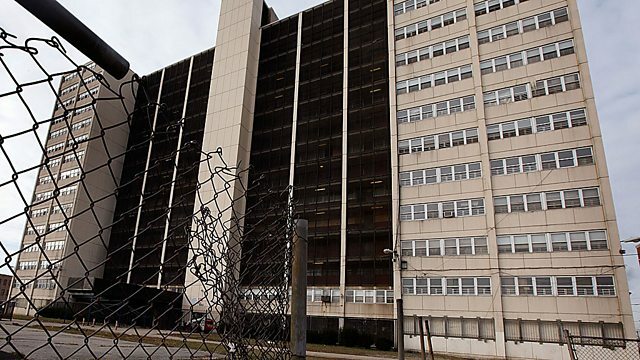 Picture: Part of Cabrini-Green public housing complex in Chicago, USA, near where Shirley Chambers' children grew up.